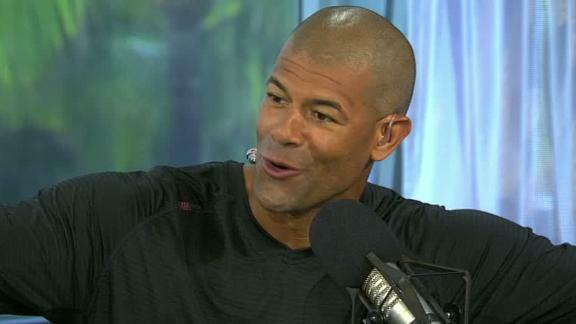 Spoelstra to stick with Shane Battier? Talent runs deep in some families. We take a look at standout father-son combos in the world of sports and prospects for the next generation. KD? Kyrie? Zion? New York is chasing the summer's hottest names in one of the most important offseasons in franchise history. Who will be punching a ticket to the conference finals? Our NBA experts make their predictions for Round 2. Our NBA experts answer the big Warriors-Clippers questions, plus what this series means for the rest of the postseason. John Havlicek steals the ball to close out the 1965 NBA Eastern Conference Finals to put the Celtics in position to win their seventh of eight straight finals. Scott Van Pelt remembers Boston Celtics legend John Havlicek who died Thursday.